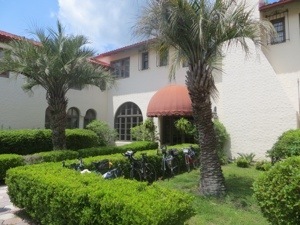 Our route today was south – and the wind was from the south, rather than the easterly wind we are used to. 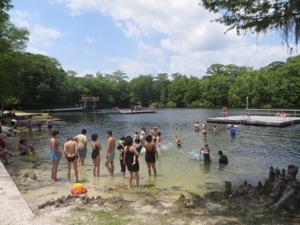 It did help to keep us cool as the temperature rose into the mid 80s by mid-afternoon. 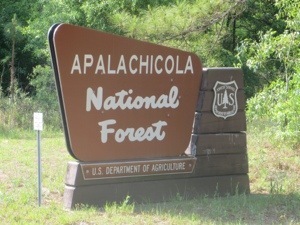 Much of our early miles were in the Apalachicola National Forest, quiet road and beautiful scenery. 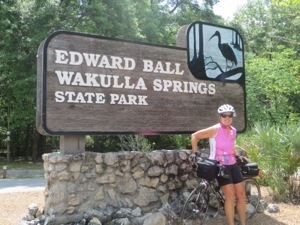 There was an optional side trip to the Wakulla Springs State Park, which Donna and I decided to explore. 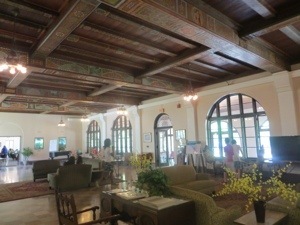 We ate lunch in the Lodge, then walked along the beachfront. 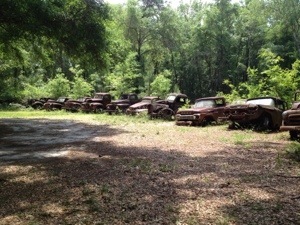 On the way to Crawfordville, we passed this “truck cemetery”, nicely organized amid the trees. 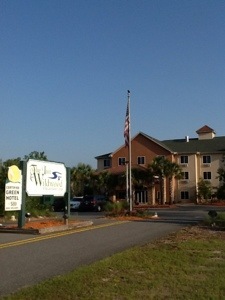 We are staying at the Inn at Wildwood with a golf course next door. 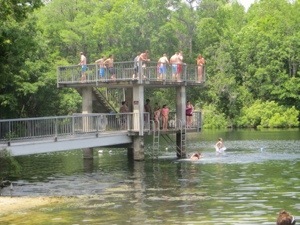 I plan to go back to the Park tomorrow, for a massage, and hopefully a boat trip along the Wakulla River. 59 miles today; average 11.4 mph. 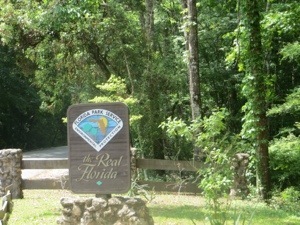 Headed to park with Wendy for a rest day massage. Thanks for the encouragement. Even though I haven’t commented on your blog posts, I want you to know that I have been following your adventures every day. My jaw drops every time I look at the wonderful pictures and read the commentary. You’re a fantastic lady and this is one HELLUVA super accomplishment. You should be very proud of yourself. I’m certain that all of your family and friends are. Dolly, Like Jack, I have been following your incredible LLS Dollybike adventure as frequently as I can even though I have not been commenting. (Tours have been picking up with the change of season here in Indy! 🙂 Your photos are wonderful, blog entries from the heart, and this is certainly the adventure of a lifetime. I just want to acknowledge your accomplishment around this amazing milestone. And, I miss your smiling face and look forward to seeing you soon. Love from NPC and Indy!